Convection heaters are becoming increasingly popular, since they significantly improve the house climate by reducing CO2 concentration in the house air. In piglet rearing houses with two-climate systems, twin pipes are installed directly in the piglet resting area. This saves energy costs as temperatures controlled by the convection heater in the rest of the pen can be significantly lower. 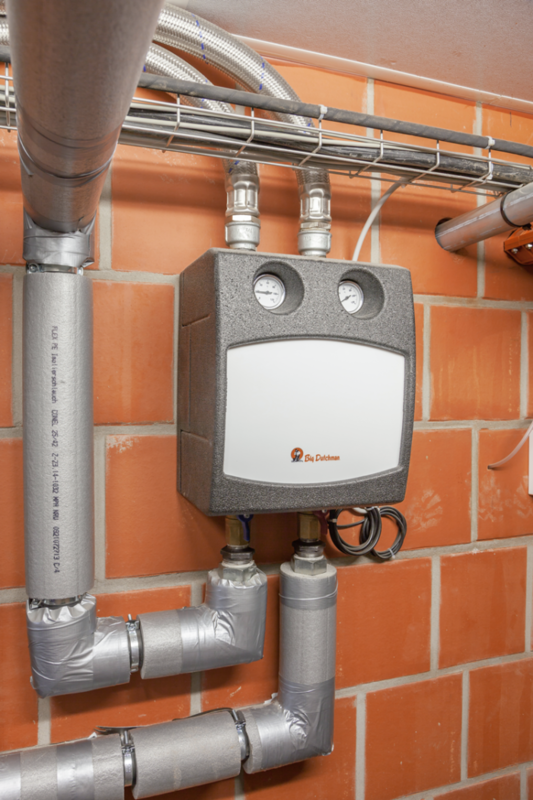 The 135 Pro and 235 Pro climate computers regulate the entire house climate, including the continuous three-way control of the hot water heaters from 0 to 100%.